With nearly all Magic sets these days, I like to stop and admire the beauty that is the premium versions of cards. Specifically, we do this by examining the white underprinting utilizing in creating the highlights on our premium foils that you get in booster packs. For this iteration of the "foil Arcana" I called upon two of my trusty advisers, Mike McArtor and Bonnie Bruendermann, to pick which cards to highlight for you all. Let's take a look at what they picked for me to highlight. 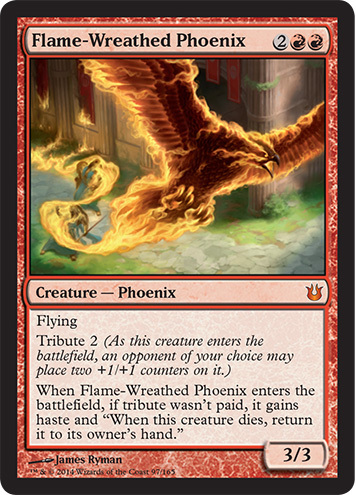 The Flame-Wreathed Phoenix is a simple and to-the-point example, where there is fire, there is foil. Simple. Click the card below to flip between normal and underprinting. 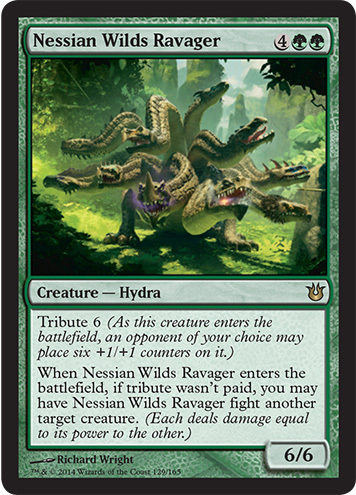 Nessian Wilds Ravager is a wonderfully subtle treatment for the premium foils; it utilizes the negative space on the cards by leaving much of the creature without the underprint and instead highlights the background around it, as well as the creature's mouths. 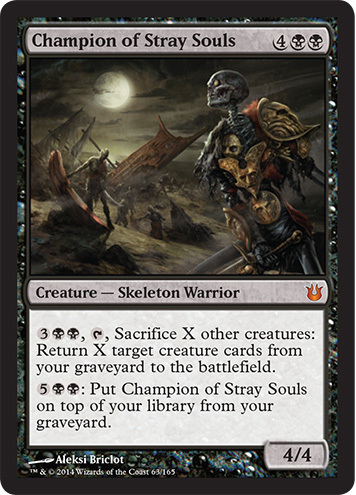 The Champion of Stray Souls is a skeleton but this premium foil carries over one of my favorite thing about the Returned of Theros, and that is their gold masks. In the Theros foil underprint arcana I highlighted the mask on Tymaret, the Murder King and it holds here: the gold masks shine on the foil versions of the card. 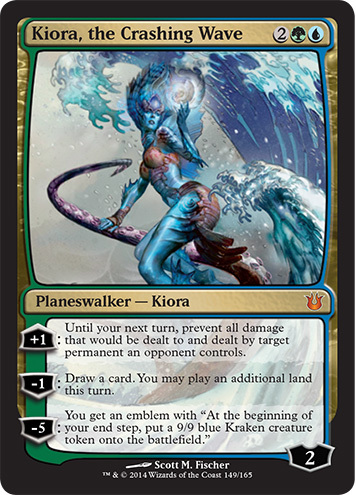 Kiora, the Crashing Wave was the first card we previewed from Born of the Gods, revealing her on December 25, 2013. I just love with the underprinting you can see how they leave all of her armor untouched and highlight her skin around it, which is a stark contrast to the trophies on our skeleton above. 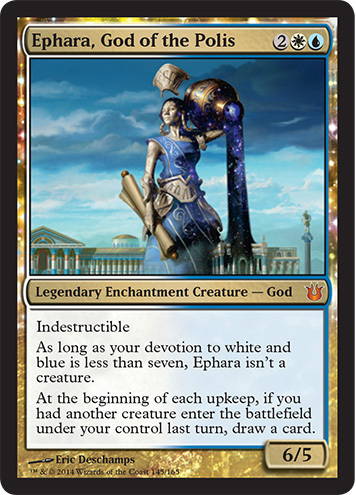 Next is Ephara, God of the Polis. Her card really highlights the Nyx effects and the jug on her shoulder. If you look close you can see the black spots on the Nyx pouring from it, creating the wonderful star effect on premium Nyx cards.